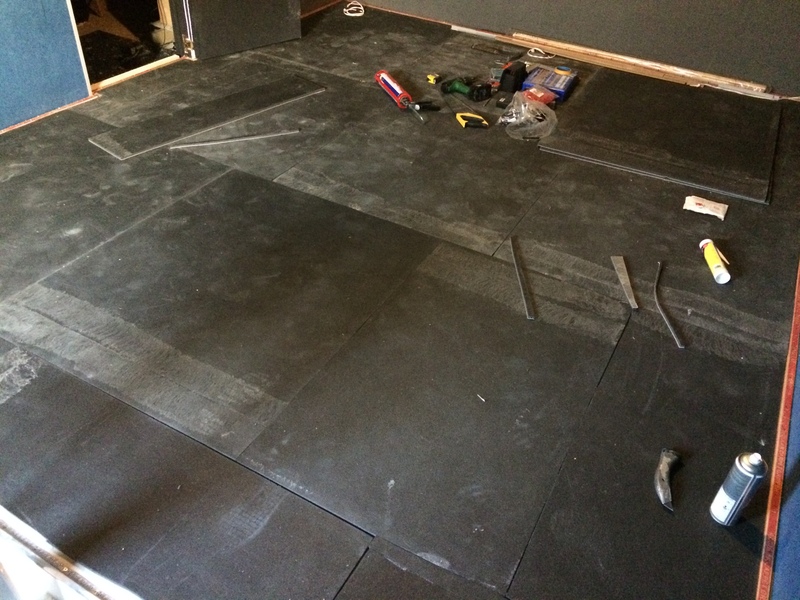 During an attic renovation which was being transformed from a bedroom to a cinema room one of our clients wanted to install an acoustic underlay. 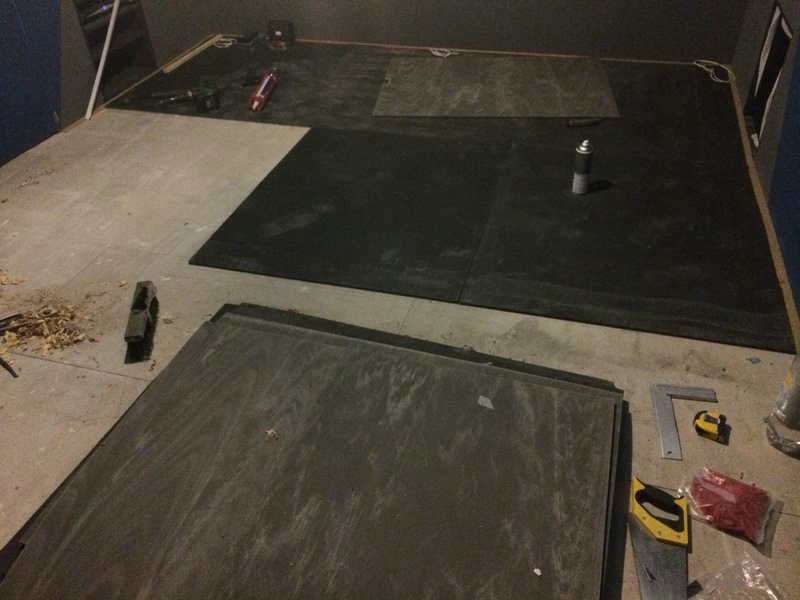 He had already taken steps to soundproof the room using the SoundSense Isolation System on the party wall and also on the floor with the Basic Wall System used on the outside walls. We recommended he use our recently developed Silent Floor Ultra Acoustic Underlay. This new product is similar to the QuietFloor Plus which is very popular. However the benefits with the Silent Floor Ultra are that it is thinner, cheaper, more durable and more effective. Obviously the client made no hesitation in choosing this product. And as he has done with the rest of the installations he agreed to take images while he was completing the install for us to use on our website. The first step was to make final checks to ensure the QuietBoard he had laid was fully secured and didn’t move or squeak when he walked on it. Also he needed to make sure the floor was completely clean, you don’t want debris trapped underneath the Silent Floor Ultra. Once all is clean he fixed down the carpet gripper around the perimeter of the room. Depending on the thickness of the carpet gripper you may find you need to fit a 6mm packer called perimeter strip all the way round so that the top of the Silent Floor Ultra is at the same approximate height as the top of the carpet gripper. Once this was complete he could start to glue the Silent Floor Ultra down, ensuring there are no gaps between the panels. Keep sweeping the floor as you work back to make double sure that you don’t leave anything under the Silent Floor Ultra. Fit the sheets in a brick-bond fashion, staggering joints. The Silent Floor Ultra is very easy to trim to size with a Stanley knife. Once the entire floor has been covered with the Silent Floor Ultra you can then seal the joins with jointing tape. 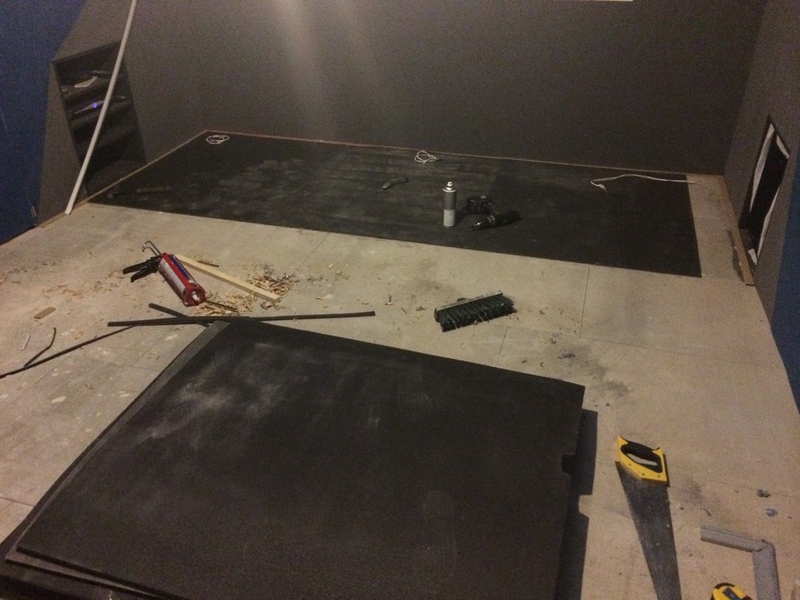 Give the top of the Silent Floor Ultra one last sweep or vacuum and the floor is ready for laying the carpet. This was the first time the client had done anything like this and he found it very easy and quick to lay with i taking him less than an hour to complete this ready for laying the carpet. Once the Silent Floor Ultra and carpet was installed footfall noise was reduced to a level where it is barely noticeable even with children running and stamping about on it. Plus the combination of this and the SoundSense Floor Isolation System has resulted in very little sound leakage even when watching a film at moderately high levels.